The project was the refurbishment of 400 year old farm in West Wales. External wall insulation was chosen as the best option due to disturbance that internal wall insulation would cause and to not help protect the exterior for many years to come but also reinvigorate the façade of the building. The project faced many challenges; it was in a fairly remote location with high levels of exposure to the elements and the homeowner wanted to maintain the traditional look of the property. 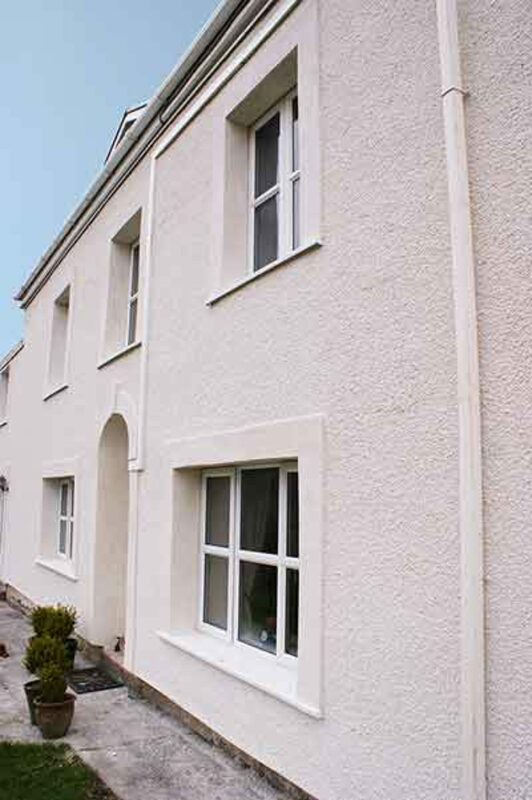 The construction of the property was 450mm solid stone, which posed a number of challenges namely it was the surface was uneven and therefore needed to be level out through the EWI system. The substrate also posed a challenge in terms of fixings. SPSenvirowall and Telling's worked closely with the fixing manufacturer, through numerous on-site pull out tests, to establish the most suitable fixing. 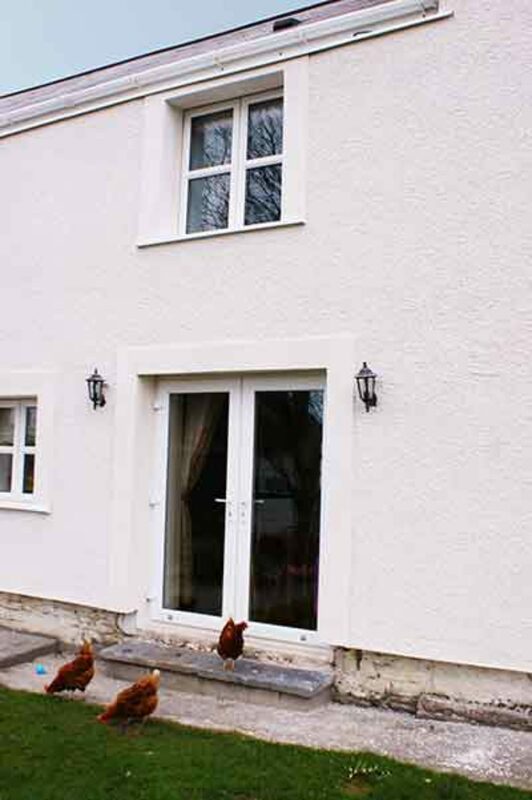 The system chosen for this property was SPSenvirowall's Wall System 2 using 100mm Grey EPS, with a Dash aggregate finish (Polar white on white). This took the existing U-value from 2.13 w/m2K to 0.29 w/m2K. 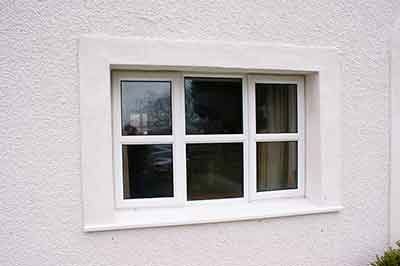 In order to replicate the keystone detail around the window 20mm EPS was used fixed to the external wall insulation system and finished with a smooth white render, this ensured that the traditional appearance of the property was maintained. Another innovative detail used upon this scheme is how the contractor dealt with the electric cables that were present on the outside of the building. The detail chosen was to run the electric cables over the external wall insulation system and boxed the cables in a "Z" flashing. 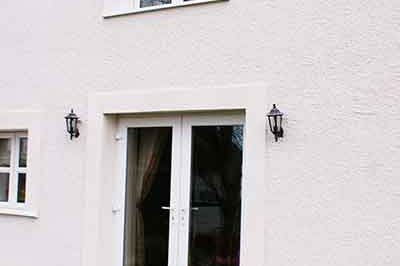 This detail ensured that the cables were clearly identifiable and protected, and also did affect the weatherproofing of the external wall insulation system. We feel this project ideally shows how choosing external wall insulation does not mean that you will lose the architectural features of your property, a concern we hear very often from private residents. 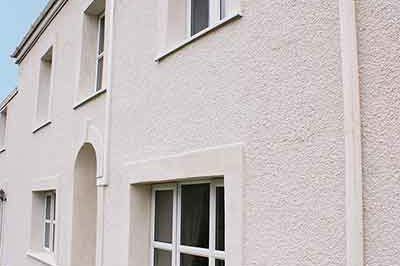 The project ideally shows how an external wall insulation refurbishment can be sympathetic to building and this is an ideal project to promote external wall insulation into the private homeowners market.